Embracing one’s culture and heritage is difficult to do if you don’t read or speak the language. This is one of the key challenges facing Indigenous youth today across Canada. For youth to connect with their culture and heritage, they need to build knowledge by interacting with their people, learning about important places, and understanding significant historical events. They also need to connect with local art and artists, learn traditions and ways of life, and engage with important symbols and artifacts. According to the last Canadian Census, there were over 60 Indigenous languages reported across Canada. However, this list is not exhaustive, as several communities weren’t appropriately enumerated for participation in the Census, meaning that several more languages were not appropriately recognized. 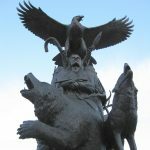 Out of the 60+ reported languages, they can be grouped into 12 distinct language families, with three groups accounting for nearly two-thirds of all language speakers – Cree, Inuktitut, and Ojibwe. However, even these three larger groups of languages only have around 20,000 speakers each, less than the population of a small city. 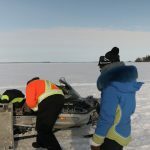 Often these language speakers are Elders and Knowledge Keepers within the community, who are a progressively aging population, putting the languages even more at risk. Loss of language in Indigenous communities stems from many root causes. More than 20,000 Indigenous youth were sent away from their homes and families during the Sixties Scoop and were sent out for adoption across Canada, the United States, and even parts of Europe. 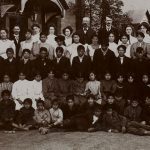 Several thousand more students were sent out to Residential Schools where they were stripped of their language and separated from their land and families. As a result, English often became the dominant language at home and within the community. This loss of language and culture has led Indigenous youth toward an identity crisis. They don’t understand and connect to their heritage and don’t see themselves reflected in it. It can be challenging enough for a teen to engage in their community when they feel connected and included, but when they are missing the language skills to converse with their parents or grandparents or to participate in community traditions, celebrations, feasts, and activities, they risk becoming further disengaged. New immersion language programs for the younger grades, deeper emphasis on experiential and land-based learning, and better integration of language in cross-curricular activities are all great techniques schools are using to re-build language skills among the younger generations. Many communities are also turning toward technology as a way to capture the knowledge of Elders and preserve their stories, traditions, and language instruction. Whether it’s digital lessons, interactive flashcards, apps, or games, bringing in technology can help reach young people and engage them in a manner they are accustomed to in their leisure lives. This generation has been brought up on YouTube, texting, and social media, which has created a different “norm” for interactions and has wired them differently in relation to engagement. Apps like one from FirstVoices that provides keyboards for youth to text and tweet in their own languages help youth make their native language a more integrated part of their lives. This, combined with integrated immersion and in-class resources that blend traditional instruction with digital supports, can be very effective in increasing interest and engagement in language learning among all students. Our team has been working with communities from coast-to-coast this past year on the creation of in-class resources for language and culture education, including the development of content to support Mi’kmaq, Cree (multiple dialects), Oji-Cree and Ojibwe. Included below are two examples of lessons that showcase vocabulary and language learning for middle school students. 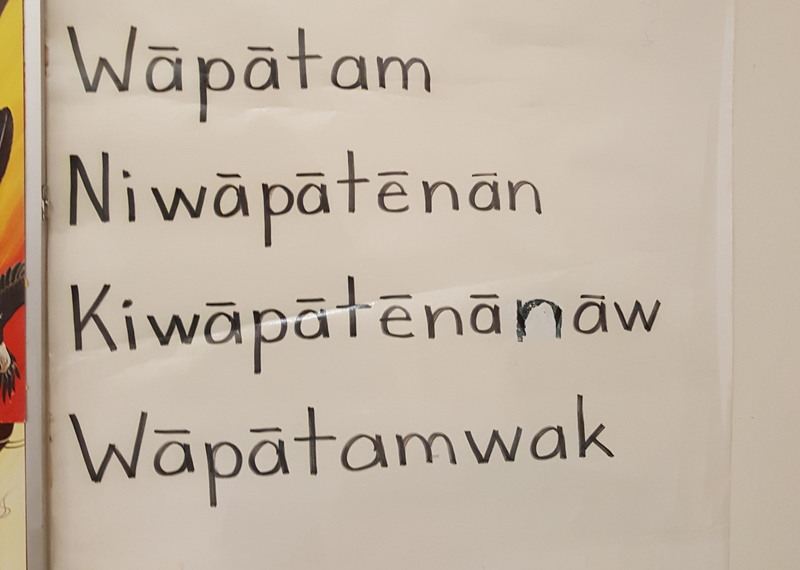 The voices reflected in these pieces are recorded and shared by community Elders and Knowledge Keepers who were interested in building language skills in the schools. The first example was created in collaboration with Webequie First Nation to teach middle school students basic animal names in Oji-Cree through a storytelling model. This approach is more interesting and engaging than simply memorizing the terms through traditional vocabulary models. Oji-Cree Story: “The Little Cat Looks for a Family” from Learning Bird on Vimeo. The second example shows a more advanced language acquisition strategy of listening to a story that has integrated vocabulary. This Cree language lesson was created in collaboration with Treaty Six Education Council in Saskatchewan and it tells the story of students engaging in typical conversation on their first day of school, using common Cree terms and questions. Short Story Writing with Cree Words from Learning Bird on Vimeo. Both of these examples above are videos, but they are packaged for classroom use as a unit of content that includes other pieces like podcasts, handouts, slideshows, and worksheets to progress students through a topic or theme. Governments are also finally starting to invest in language education and preservation, and have committed new funds to specific initiatives. Just recently, the Alberta government announced a new $665K grant to provide K-12 students throughout the Province with instructors and resources to revitalize and strengthen language learning. Earlier this year, the Federal government pledged $89.9 million over the next three years to preserve, protect, and revitalize Indigenous languages and cultures. These investments fund programs like the Aboriginal Languages Initiative, a grant designed to fund community language learning resources and programs to revitalize local languages in the community and promote language learning at all levels. It is our hope that these increased investments in language preservation and improved capture of language knowledge from the aging Elder and Knowledge Keeper populations, will make it easier to create content, tools, and opportunities for language learning for youth. This approach, combined with the increased integration of technology into language instruction, will help young people better engage and connect to their culture and language. If you would like to learn more about our language learning resources and how we can collaborate with you on the creation of language learning digital content, reach out to us at achieve@learningbird.com or call 1-888-844-9022.